Spinal meningitis is another name for meningitis, an infection of the meninges, the coverings of the brain and spinal cord. Because of the involvement of the spine and the symptoms which can include neck and back pain and stiffness, it is sometimes referred to as "spinal" although it can involve the surroundings of the brain as well. Additionally, diagnosis of the disease is generally made by sampling the cerebrospinal fluid, the fluid which surrounds the brain and spinal cord, through a procedure known as a spinal tap or lumbar puncture. 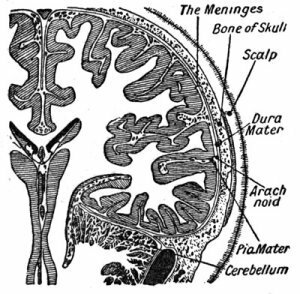 For more information, see the meningitis page and learn more about the symptoms and treatments of this disease. Done with the Spinal Meningitis page?